A common perception that exists among many people is that Halloween is for kids. But, why must we stop enjoying a holiday we love just because we've aged some? Granted, we may get too old to go Trick or Treating from door to door, but Halloween is for everyone, and for adults, Halloween has never been more fun than it is today. Haunted Hayrides - Hayrides are very popular in rural areas, and usually have pumpkin patches and mazes on the property. These are fun family daytime outings. Some hayrides are done in the evening and can be too scary for kids. When they turn up the scare factor, you can always get closer, making it a great "date night" location. Haunted Houses - These pop up all over in strip malls, industrial districts, warehouse districts, and in neighborhood garages. You can search for Halloween directories on the internet that will list local haunts and attractions such as Horror Find who has a directory by state. If you don't find anything locally, then make your own yard haunt. You can set something pretty scary up in just a few hours. Setting up a haunt with friends can be a lot of fun, and may just turn into an tradition! Haunted Nightclubs - Many bars hold Adult Halloween Costume contests with cash prizes and celebrity appearances. Perfect adult Halloween activity and a guaranteed No Kids zone. Theme Parks - The Amusement Park industry has recognized the immense market for the adult celebration of Halloween and turn the parks into places of dark entertainment during the holiday season. These events offer an evening of fun and full of mini haunted houses, Halloween themed shows, and most times live actors. Adult beverages are usually available and these events are not recommended for younger children. Horror Movies - Ton's of scary movies come out in droves around Halloween, and for those of you who are not in a town with a cinema, rent a movie, or watch one of the movies that the local networks will be playing. Rest assured there will be plenty of shows to choose from. 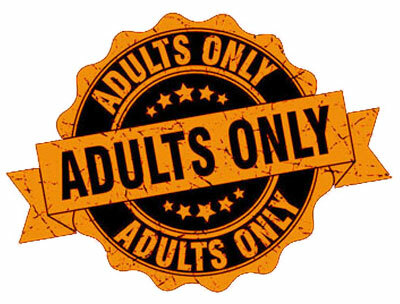 Are you a little bit of a homebody or still can't find some adult fun for Halloween? Get the friends and family together, and throw a Halloween Party. Check out our Halloween Party Tips to help in planning the fun for your Adult Halloween.